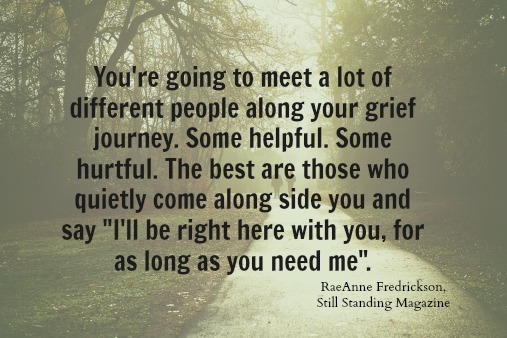 You’re going to encounter a lot of people along your grief journey. A lot of people, and a lot of different reactions to your loss. Sometimes, these interactions will leave you feeling completely at a loss for words – flabbergasted, even – and feeling more alone than ever. Other times, you’ll leave the conversation feeling validated, secure, and peaceful. (Those times are rarer than the former, but are my personal favorite). If you’ve suffered the death of your child, here are some of the people you’ll meet along the way. Most of the time, these people leave you feeling so shocked by their lack of basic human compassion, you can’t even find the words to respond in the moment. If you’re caught off guard by their comments, you might just nod along and then later have a whole conversation in your head with all the reasons they are 100% completely and totally wrong (the words moronic and asinine come to mind). Or, you may be able to find the gumption in the moment to explain to them why their words are so very hurtful and backwards, only to have them stare at you like you’re just crazy and they know “You’ll eventually come around”. In time, I’ve learned not to waste my breath on many of these people. I mean, if they’re so lost in a fantasy bubble that they can’t understand the atrocity of living the rest of your life without one of your children, then, really, how much do you think they are going to listen and learn as you teach them the truth? I’ve encountered a lot of these people. I’m always irritated by them. As they nonchalantly pass over my huge bomb of information in the conversation, I am left confused and hurt. In my head, I’m asking, “Didn’t you hear me? My SON DIED”. How is this no big deal to you? People like to say, The Ignorers just don’t know what to say and so they just say nothing. I say, that’s not good enough. Again, basic human compassion dictates – at the very least -an “I’m sorry”. But I guess that’s just me. It must be nice to be able to just pretend children don’t die. “Oh, that makes me so sad that your baby died! I’m going home right now to hug all my kids” or, to others, “I just heard that so-and-so’s baby died! Isn’t that awful! I’m so blessed to have all my children here with me!” or, “Seeing how hard this is for you makes me realize how lucky I am to have such super easy pregnancies”. These people infuriate me. I just want to scream at them, “Oh, I’m so glad my tragedy helps you realize how precious your children are. How wonderful that my nightmare helps you feel better about your life.” These people probably believe they are being compassionate. But they are not. They are rubbing your face in their luck. It’s all about them. This group also contains the people who make your loss about them. Calling you while you lie in the pit of despair and heartache to say, “I really need you to listen to how I feel about your loss. I’m really grieving and you need to comfort me”. Again, these people are trying to make your loss all about them. I have no place in my life for those people. These people make my blood boil. These are the ones who are unable to face the emotions of real life. They will do anything to keep from acknowledging that children die. They will find any way they can to distance themselves from your pain. They think “tough love” will “fix you”. I’m sure – in some unknowable way – they think they are helping. Run far, far away from these people. They do not get it, and they are completely wrong. 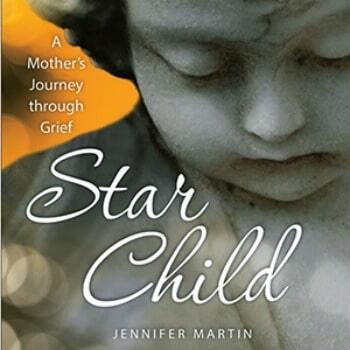 “Oh, your baby just died? 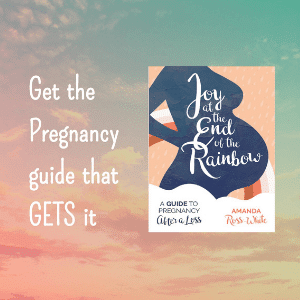 Well, my baby was born last week, let me show you all the photos” or “You probably need a break from being sad, so could you help plan the baby shower for our friend?” or “Sorry that happened, but good news! I’m pregnant!” or “Better luck next time” or “Well, now you won’t have to worry about changing diapers all the time!” or “Ugh, I’m so sick of my kids! You want to buy them from me? ha ha”. After an encounter with a Dummy/Jerk, I’m often unsure which category they fit into. Are they really that dumb? Or really that cruel? Or is it something else? Self-absorbed? I honestly have no words for these people. If you are so lacking in sense or compassion you can’t understand why the death of a child is horrific, then you should probably not be around people. “I’m so deeply sorry for your great loss”or “This is a terrible tragedy” or “We’ll remember and miss him with you for the rest of our lives” or “Tell me about him” or “I’m just going to sit here with you for as long as you need” or “Take all the time you need”. These are my favorite. The people who immediately get it. You don’t have to go into detail. You don’t have to bare your soul. You can just say “my son died” and you’re instantly surrounded with love and support. Maybe (actually, mostly), it’s because they know true grief themselves. Or, maybe they are just actually compassionate. These are the people you need to fill your life with. The ones who allow you to grieve. The ones who protect your heart and your child’s memory. The ones who know there is no such thing as “moving on” or being “done” with grief. What’s funny to me about this, is that people put so much effort into “fixing” the bereaved. Tons of wasted energy into fixing the unfixable, only to end up frustrated. If everyone would just simply say I’m sorry” and “I’m here for you”, it would be so much easier for everyone. I wish people knew we just want support, that’s all! I have a love/hate relationship with this group. I love my babyloss friends because they completely and totally get it. They are brokenhearted and hurting, but will go to endless lengths to support and encourage another loss mama. The hate part is that I don’t want there to be such a community. I don’t want any person on this planet to know what it means to live without your child. But, if we have to do it, I’m endlessly thankful there is a safe place to find validation, support, and encouragement. When you are feeling you can’t go on, just call or message your loss friends. Instant love. Instant “Me too” feedback. Instant relief from isolation. These are the people who become your new friends and family when your other friends and family disappear or forget. These are the people you never realized were so large in number, but now find all the time. These are your people, for as long as you need them. If you’re like me, you’ll soon realize your babyloss friends are the best friends you can have. They are the ones who remember your baby all the time. They are the ones who will light candles, write your baby’s name in special places all over the world, and who will speak your baby’s name all the time. They will never allow an important day in your baby’s life to pass without surrounding you with love. So, that’s my list. Who have you met? Previous Post: « October- How Can I Help?